What's Your Eating Style? Take the Quiz! We all define our clothing style, music style, work style.. but rarely do we talk about our eating style! We each have our own very own specific way of eating food, as unique as the way we dress or speak. For some people, food is a social vehicle to bring people together, while for others it's as crucial as a box of Kleenex to get them through a rough patch. Some of us think of food as the enemy, while others look to it as our savior. Some of us overeat when surrounded by friends, while others would never want their friends to witness some of those late-night binges! Whether you're driven by emotion, the availability of food or your guilt, take this eating behavior quiz to find out your specific munching style! Answer the following questions from a scale of 1-3. 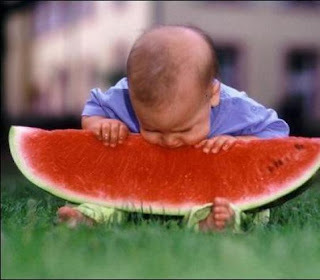 When I see a real delicacy, I often get so hungry that I have to eat right away. I deliberately take small helpings as a means of controlling my weight. When I feel anxious, I find myself eating. Sometimes when I start eating, I just can't seem to stop. I get so hungry that my stomach often seems like a bottomless pit. I feel a high sense of guilt after eating, enough to make me avoid dinners. 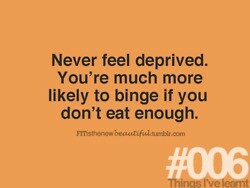 If I'm upset, I lose track of how much I eat and go on a binge that makes me feel worse. I find myself always counting the calories of everything I eat or going to the gym immediately after. If I am bored or lonely, I distract the void I feel with food. When I smell appetizing food or see a delicious dish, I find it very difficult to keep from eating—even if I've just finished a meal. I deprive myself from some of my favorite foods because they make me fat. In difficult times, food is my consolation. I eat the most at social gatherings or with others. I try to distract myself when feeling hungry and would rather look at pictures of food then eat them. I eat the most when I am by myself and no one is there to witness. If you're highest score were REDS, then you are an Emotional Eater. If you're highest score were BLUES then you are an Uncontrolled Eater. If you're highest score were GREENS then you are a Restrained Eater. Emotional eaters' food decisions cater to mood. When happy, an emotional eater will eat just one cookie, but if negative emotions—like anxiety, loneliness or depression—creep in, it’s buh-bye, cookie jar. Psychology: Everyone has go-to fixes for when they’re feeling down. But if you start using a favorite food as your sole mood booster, it’ll satisfy you less over time, not to mention stress you out about making a poor food decision. Biology: There’s a reason that it feels so right to do food “wrong.” Sugar ups the absorption of tryptophan, which increases tryptophan’s release of the feel-good chemical serotonin (euphoria-inducing drugs like ecstasy do the same thing). This is how the vicious cycle starts! Uncontrolled eaters give in to food temptations. If faced with a plate of cookies, they’ll have one, two and—OK—just one more. Once they start, it’s hard to stop. Psychology: They’re extremely sensitive to their eating environment (what’s on the plate, who’s at the table, etc.) 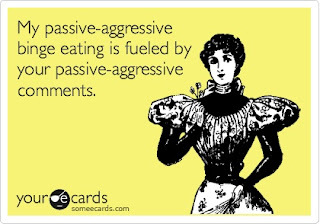 and tend to ignore feeling full, continuing to chow down. It’s often a social thing—in one U.K. study, uncontrolled eaters ate more cookies while in a good mood. Psychology: Restrained eaters have a love/hate relationship with food. They adore eating but are afraid of its effects on their health or appearance. Some stop consuming before they’re full. For others, it’s a decision to maintain health and well-being more than weight. Biology: Depriving yourself of calories can lead to uncontrolled eating. The stomach can’t be tricked—only when it’s full does the hormone ghrelin decrease, at which point we stop feeling hungry. Exercise is a mood booster that can significantly alter your eating habits (and body) for the better. A study on twins showed that emotional eating (loving sweet and fatty foods) is partly genetic, and increases when you feel depressed. Regular exercise will decrease depressive symptoms. A 20-minute walk or jog will not only get you away from the food source but also reduce your appetite with the fight-or-flight nervous-system response that kicks in during a good workout. When stress or anxiety sets in, emotional eaters make a beeline to the nearest bag of [insert favorite brand of potato chips here]. For good reason: Stressed adrenal glands send salt-craving signals to our brains. Not a good thing, because chronic stress can overwork your heart, and using high-sodium foods to combat stress only elevates blood pressure. Plus, the stress hormone cortisol can increase belly fat! The No. 1 action you can take to decrease stress? Breathe. Next time you feel anxious, close your eyes and take deep breaths for one minute. It'll clear your mind and help you put your worries in perspective. The hungrier you are, the more likely you are to reach for sweet, salty and fatty eats. If you feel an eating episode coming on, fill yourself up first with protein-rich foods. They tell the hypothalamus in your brain that you're satisfied. You absorb only 85 percent of the fat in nuts, so keep a package at your desk and reach for a handful when you want to quickly reduce your appetite. Another protein-rich food? Fish. Try halibut if you're stressed or anxious. Stress decreases your magnesium, which halibut is chock-full of. It's a good way to combat the cortisol stress hormone, which causes inflammation and belly fat over time! When you experience negative emotions, there's a greater chance you'll eat more (and choose less-healthy food options). So always, we repeat, always, save the grocery shopping for when you're in a good mood. This will keep you in the produce section and out of the ice cream isle. If waiting isn't an option, write out a grocery list. Planning ahead will help keep you focused on what your body needs, not what it thinks it wants. This way you can control your home environment and keep the food felons out! No matter how hard you work at not using food as emotional support, every once in a while you'll crave a bowl of good old mac 'n' cheese. Recognize that and accept it. A less tempting, healthier comfort-food option is broth-based chicken soup. Soup takes longer to traverse your GI tract, making you feel fuller than you would consuming water and food separately. To keep closer tabs, record your major eating episodes. Write about the environments you're in when you overeat. You'll start seeing trends—like it happened at a party or at a restaurant with friends. People eat more in groups, especially big groups. Maybe you indulge most with your partner or best friend. One person can have a major influence on your eating—people with obese friends have a whopping 171 percent chance of becoming obese as well. 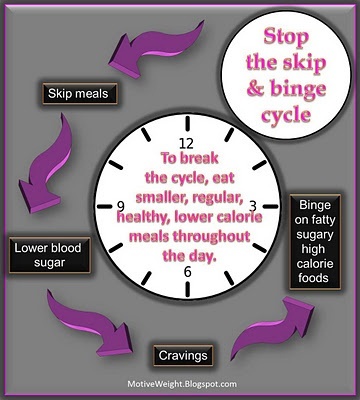 Becoming aware of your eating triggers - will help you avoid being influenced by them. When and where do you chow down the most? It's most likely not when you're starving or when the food is particularly irresistible–looking. 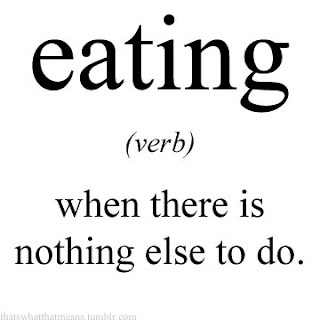 Rather, it's when the food's just there–in front of you and plentiful. At the cinema, don't supersize your popcorn for a quarter more. Save your change and your appetite for dinner afterward (and if it's a romantic dinner, know that soft music and a dimly lit restaurant can subconsciously cause you to eat more!). At home, watch what snacks you take to the couch with you. An Australian study found that people who munched in front of the tube ended up eating more at their next meal. And monitor your intake while you're watching television—you can eat up to 40 percent more food, according to researchers at Cornell. Young adults with uncontrolled eating tendencies are prone to drink more alcohol. It's a catch-22, as alcohol can trigger unconscious eating (there's a reason that pizza joints are mobbed after 1 a.m.). If you're going out, cap yourself at two drinks, and have food with that glass of wine. You'll be less likely to drunk-dial late-night delivery food when you get home. "I'm out-might as well indulge!" is rhetoric we've all told ourselves. In fact, one University of Texas researcher studied binge eating, and half of the episodes occurred at restaurants. Knowing that, if the appetizer looks amazing, order it, but share it with your dinner mates. 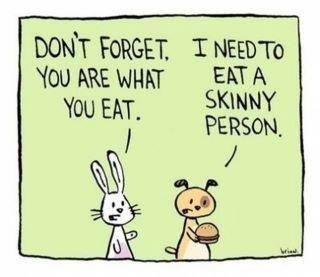 Or order a soup or salad to fill up with healthy, low-fat food pre-meal. As for the main course, wait to order after your appetizer. Your waiter may give you guff, but you'll end up ordering less when you're feeling a little satisfied. Another tip: Be the first of your friends to order. Research shows that people who order last choose the unhealthiest meal, since their choice has been swayed by the whims of the group. PS: You made a reservation, right? The longer you wait, the hungrier you'll get. It's true-you can shrink your stomach. Eating smaller food portions will remodel your stomach to be smaller. It takes about six weeks of sustained, smaller meals to shrink the stomach. How to get there? Eat meals off a dessert plate instead of a dinner plate. Researchers at Cornell found that the bigger the plate, the more people ate-up to 28 percent more, to be exact. Fatty foods may be on your "do not eat" list, but if you're replacing them with foods labeled as fat-reduced, slow down. These products often contain high glycemic carbs and chemicals to make up for the lack of fat. With fat-free salad dressing, you'll take in fewer calories in the short term, but you’ll eat more in the long term. Your blood sugar will spike up and down, and you'll be less satisfied. Test how natural your "healthier" food is by asking yourself, "Does it make sense for this item to be low in fat?" For peanut butter, probably not. And low-fat granola has only 12 percent fewer calories than regular granola, but when Cornell researchers gave it to subjects, they ended up eating 192 extra calories. We all like to be the queen of our domains, but it's important to be conscious of where your need to control your diet is coming from. It could be because you're overcompensating for feeling a lack of control over certain areas in your life. Consider this: A study from the University of British Columbia showed that young women with high cognitive restraint also had lower self-esteem. That's just one example (self-esteem could be replaced by stress, relationship issues, depression—the list goes on), but it's important that you take a close look at your feelings to determine if your conscious eating is a Band-Aid for a deeper issue. Your starting point: Keep a daily journal of your thoughts. Notice if you are fixating on certain areas in your life, and start making changes for the positive. We're all for your watching what you eat, but you've got to replace any food you've chosen to eliminate from your diet with nutritious options that provide the energy you need to be your true self. Too few calories can turn the most vivacious personalities into lethargic sloths (and when was the last time you had fun with a sloth—never!). Research shows that restrained teens and young adults are vulnerable to eating too few calories. And depriving yourself of the nutrients and calories you need could push you to the opposite end of the spectrum: uncontrolled eating. So go ahead, let yourself eat that cookie. Or eat a handful of walnuts instead (they're high in omega-3s). Both will satisfy your immediate craving and protect you from a possible binge later on. So you blew your goal for the day and had two doughnuts at your morning meeting. Avoid the what-the-hell effect-yes, this is an actual scientific term-which is what occurs when a 500-calorie cave-in turns into a 5,000-calorie binge. Highly restrained eaters are vulnerable to giving into uncontrolled eating. There is no need to punish yourself if you made a bad food choice-enjoy the moments when they happen, and move on. If scarfing down an afternoon snack while catching up on last night's "Dancing with the Stars" on your computer and tapping out emails on your BlackBerry is your idea of eating, it's time for a mindful makeover. Mindfulness is a tactic we use to be more present in our lives (concentrating on the here and now instead of letting your mind flit all over the place), and it specifically helps restrained eaters overcome the guilt they feel about ingesting foods on their "can't eat" list (like, say, chocolate). First, arm yourself with dark chocolate that's over 70 percent cocoa (much healthier than milk chocolate, it's proven to reduce stress), and then focus on the emotional and physical associations you have with eating it. To really use your senses, close your eyes. Inhale the chocolate's aroma. Be aware of your thoughts and let them go (especially any guilt). Place the chocolate in your mouth. As you chew, taste the richness. Feel the texture on your tongue. Observe your thoughts, but don't judge them. Indulge. Enjoy it.